The Canadian airline, WestJet has announced its August 2018 traffic results today which show the carrier saw its load factor decreasing by 1.6% year on year to 89.0%. The airline also reported its revenue passenger miles (RPMs), or traffic, increased 8.1 % on the same period last year. Capacity, measured in available seat miles (ASMs), grew by 10.0% on last years numbers and the carrier welcomed an additional 128,000 guests during August, that's up 5.4%. "In August, we flew two of our busiest-ever traffic days with more than 80,000 guests choosing one of our four airline brands. 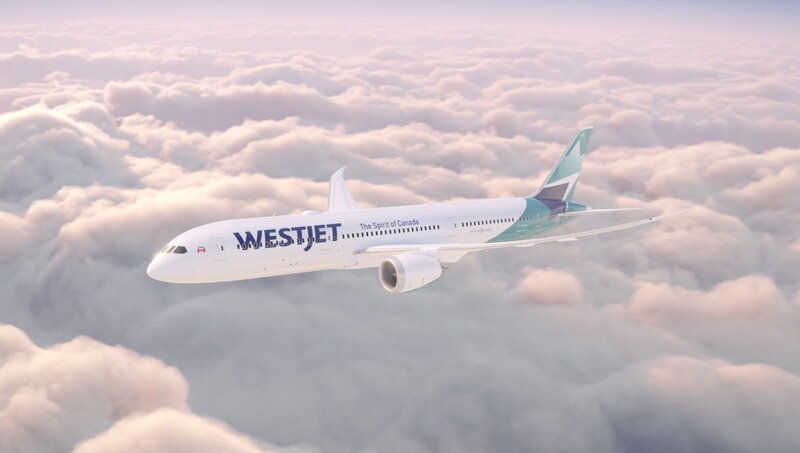 In only its second full month of operation, Canadians continue to embrace Swoop with load factors consistently above ninety-five per cent," said Ed Sims, WestJet President and CEO. "I want to thank every individual WestJetter for continuing to provide our guests with an award-winning service experience." Recently the airline became one of the first airlines in the world to introduce an AI chatbot to assist customers with booking and gaining information, she's called Juliet, see more about it here. The airline is launching flights to Orlando from Saskatoon starting in December.